The Carrbridge meet got off to a good start driving up the A9 in sunshine on the Friday evening while Andy Murray won his semi-final match at Wimbledon. Sadly the weather forecast for the weekend wasn’t so great but it actually turned out better than the initial forecast. With only 7 Munros left to go, Claire cycled in from Tomintoul to bag Ben Avon followed by Beinn a Bhuird with low cloud most of the way and a close encounter with some cattle on the cycle back out. 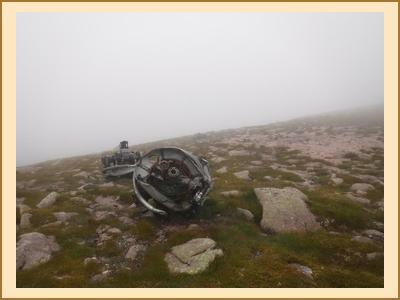 Alan H and Fiona C had a good clear day on the Cromdale Hills and Gordon climbed Bynack More in low cloud. Tim bagged two separate Corbetts (Geal Charn and Morven) and Chris climbed two separate Grahams (The Buck and Cnap Chaochan Aitinn). Gillian, Emma, Kerry and I climbed the two Corbetts in the Ladder Hills (Carn Ealasaid and Carn Mor) with a very welcome coffee at The Lecht Ski Centre in the middle of the walk. Julian and Nathan enjoyed their day climbing at nearby Huntly’s Cave, and Pauline and Dave joined us at the bunkhouse on the Saturday evening after mountain biking at Glenlivet. We were all lucky in that the rain which was forecast held off until about 4pm. With a poor forecast and the lure of watching Andy Murray play in the Wimbledon Final in the afternoon, quite a few people headed for home on the Sunday morning. Tim climbed a rather soggy Creag nan Gabhar (Corbett SE of Braemar) but was not inspired to tick anything else in the afternoon. 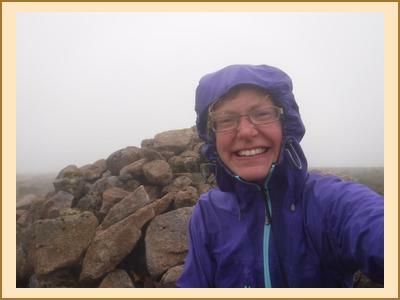 Emma climbed Geal Charn (Munro at Laggan) in very wet conditions, while Gillan and I stayed a bit drier on another Geal Charn (Corbett at Nethy Bridge). Alan and Claire headed north to climb Ben Rinnes while Chris headed off to bag two more Grahams (Carn nan Tri-tighearnan and Carn na h-Easgainn) with the rain only starting to set in on the second hill. The weekend ended on a high note with Andy Murray winning Wimbledon for the second time - well done Andy!